Are You Sure You have Nothing to Hide? This documentary, featuring NSA whistleblowers Williman Binney, Thomas Drake and Edward Snowden, challenges the dismissive attitude (Who cares? I have nothing to hide) of many Smartphone and Internet users towards government agencies and corporations that collect all their personal data. Binney, Drake and Snowden maintain everyone has something to hide. For example, health information collected by dating sites and sold to insurance and pharmaceutical companies. And the 60% of us who engage in minor lawbreaking. And all the free speech activities (following the Christchurch shooting, New Zealand is a prime example) that used to be legal but are illegal now. Binney and Drake are particularly concerned about all the data governments collect on us – allegedly to protect us against terrorism. Even though mass surveillance hasn’t prevented a single terrorist act. Which is no surprise when you understand the true purpose of mass surveillance. Namely to protect governments against us, ie to suppress activities that might undermine the power of the oligarchs who control our so-called democracy. To demonstrate this point, the filmmakers interview an East German human rights activist, who has kept the thousands of records the Stasi kept on her prior to reunification. In addition to recording all her phone calls and meetings with fellow activists, 49 friends, including her boyfriend, made regular reports to the Stasi on all her movements and activities. In Part 2, Digital Dissidents reminds us that Google, Amazon, Facebook and Apple daily collect and “monetize” (ie sell) millions of data points about us (including records of financial transactions). The documentary also features rare commentary by Julian Assange on Sweden’s attempts* to charge him with sexual assault. These charges mysteriously surfaced exactly two weeks after Anonymous hacker Jeremy Hammonds released hacked emails between intelligence contractor Stratfor and the US government about potential charges against Assange under the 2017 Espionage Act. Was this mere coincidence? It seems unlikely. NSA whistleblowers Thomas Drake and William Binney also talk candidly about the devastating effects of whistleblowing on their personal lives. His career in software systems management ruined, Drake presently clerks in an Apple retail outlet. Binney, who refers to the NSA as “the Stasi** on super steroids, calls for the total dissolution of NSA. He maintains it has too much power to be reformed. *Sweden dropped the sexual assault charges against Assange in Sept 2017. As Assange points out in the film, neither woman filed a police complaint and one accuses the police of inventing the crimes she supposedly accused him of. **As the intelligence/security service for the former East German Republic, the Stasi was one of the most viciously repressive secret police agencies ever. 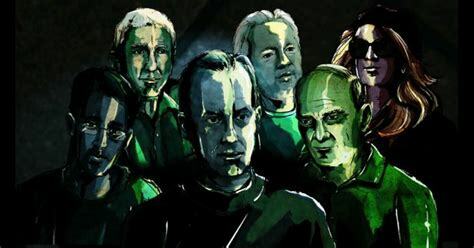 Digital Dissidents is about six whistleblowers who risked their careers, financial ruin and imprisonment to expose secret government crimes. In Part 1 of this two-part series, the whistleblowers introduce themselves and speak briefly about the circumstances that led them to leak illicit secret government information – at great risk to themselves. Daniel Ellsberg, who worked in the US Embassy in Saigon, leaked 7,000 pages of documents to the New York Times in 1971 revealing the US government had systematically lied to Congress for decades about US military involvement in Vietnam. He was charged with theft and illegal possession of secret documents. The case against him collapsed when it came out that Nixon was illegally wiretapping him and had ordered “plumbers” to break into his psychiatrist’s office. Thomas Drake, who worked for the CIA prior to being transferred to the NSA on 9/11/01. When he learned the NSA was illegally spying on journalists, he spent months “going through channels” to raise the alarm with his superiors. After he went to a Baltimore Sun reporter in 2007 with evidence of his concerns, the US government charged him with 10 felonies under the 1917 Espionage Act. After a lengthy trial that virtually bankrupted him, Drake pleaded guilty to a single misdemeanor of misusing a government computer. He was sentenced to one year probation and 240 hours of community service. William Binney, who also worked for the NSA (for 30 years) developing a wiretap program capable of filtering large numbers of domestic and foreign communication. He left the NSA in October 2001 and became a whistleblower in 2002. Although the FBI raided his home at gunpoint, he was eventually cleared of criminal charges. Edward Snowden, who worked for both the CIA and the NSA, leaked thousands of files substantiating Drake’s and Binney’s allegations to a number of journalists worldwide. The US canceled his passport while he was at the Moscow airport (en route from Hong Kong to South America), and he was forced to seek asylum in Russia. Julian Assange, an Australian national and former hacker, who founded Wikileaks in 2006. The purpose of this website is to allow whistle blowers from all over the world to safely and anonymously leak documents implicating their governments in criminal activities. David Shayler and his former partner Anne Machon, former MI5 operatives who passed secret documents to The Mail on Sunday about British intelligence involvement in illegal activities. In 2002, Shayler received a six month prison sentence for violating the Official Secrets Act.